You would be amazed to know that Rolex first launched its watch called Submariner in 1953. You can measure the quality of this watch by just looking back at its date. The second model came in 1967, it also had an identical design. But the difference was that it could bear more resistance than later. It made it very easy for the divers with the release of this second version. In 2017, in order to celebrate the Rolex 50th anniversary. It replaced the previous versions, which debuted just a few years ago in 2014. The changes made by Rolex was extensive. 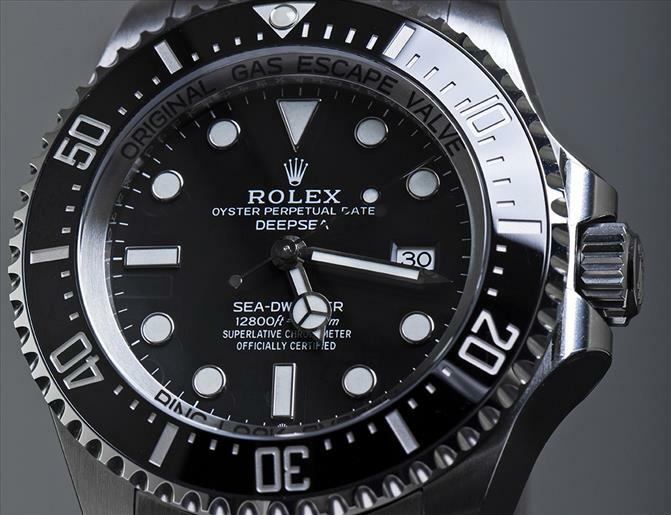 The letters that mark the name "Sea-Dweller" recall their other models on the original models. The new improved model Caliber 32335 is used here for the first time in a new model. They changed the diameter of the case from 40mm to 43mm. Moreover, you will come to know that the lens had been included, which had never been included on any of the previous Sea-Dweller. Along with a large lens, this model comes up with many other changes. If we look back at history, Rolex seldom makes changes to its models, but in the case of this model, it has made quite a lot of changes. Some people might not like it, but the majority of people are giving it a thumbs up! But, changes have never put Rolex on the brink of harm. Both new and previous model performed well. Rolex every model manages to perform beyond the manufacturer's retail price. If we talk about the new model. It is a big success as well. It looks like a magnified version of the 40-mm submariner. This thing can't be considered as a drawback. Rather, this new brand is much more convincing from the previous one. Wonderful minutes and the divers' bezel along with its name printed in red is a wonderful combination in my opinion. If we look at the lugs, they are narrower and slim, which make the case look more exquisite and elegant. The same is true for its bracelet, which is somewhat narrower on the Deepsea, but also comparatively broader. The height is 15mm, which is a wonderful match for its diameter. If we do a comparison, the Deepsea looks bulkier and submarine seems looks slimmer. However, the new Rolex Sea-Dweller is new and handsome Rolex watch. The new Rolex Sea-Dweller is loyal to itself if we look upon the functionality. The casing is equipped with a helium valve. This feature is only necessary for professional divers who go deep down into the high-pressure diving. Rolex collaborated with a French diving specialists Comex, since the early 1970s. Rolex has been supplying for all of the Comex divers since then. They helped Rolex with their professional experience and acumen to improve the quality of Rolex's watches. Rolex also did advertisements to grab attention. For example, an ad called attention set a record-setting achievement. Two divers spent 50 hours inside a pressurized chamber inside the water at a depth of 610 meters back in 1972. The Comex deep-sea diver reached out to beyond 500 meters depth. A Comex diver went down to the depth of 701 meters inside pressurized chambers in 1992. At that time Comex really needs the helium valve compared to the Submariner. The Sea-Dweller measured 40mm in diameter in 1976. The Sea-dweller had no lens as compared to Submariner which was equipped with a magnifying lens above the date in 1966. In 1978, Rolex replaced the Plexiglas with a sapphire crystal in order to double the pressure resistance to 1,220 meters. The Sea-Dweller Deepsea, with a diameter of 44mm and pressure resistance to 3,900 meters, replaced the previous model in 2008. This model did not succeed, and couldn't leave a mark. The reasons were its expensiveness as compared to a submariner. After just three years of being in the market, it is superseded by Sea-Dweller. was once again used on the surface. By doing this, it reduced the possibility of not coming into hard contact with a door frame or other object. If we talk about the legibility, it was already pretty much good. So, it wasn't improved much. The Chromoligh glows very brightly, thus making the display clearly visible in the dark. The blue color used in the hands doesn't cause any eyestrain. The zero indexes also glow vibrantly as well. it is comfortable to use as well. And I think the credit goes to the smooth black casing, the underside of the folding clasp and an exquisite steel bracelet. The links of the bracelets are curved and can easily conform to the shape of your wrist. If you bent the bracelet sharply, the spaces between the curves still remain unchanged. Thus, assuming you're they never get tugged at the hairs at the back of your wrist. You can also adjust the length of the bracelet, giving a comfort of relief especially when you are working on a hot day. Furthermore, the Fliplock extension will let you add an additional 26mm to the length of the bracelet. It means it can be worn over on the sleeve of the diving suit. The extension is clearly visible on the Sea-Dweller. It produces it protrudes from the clasp, longer than the normal link that is in the bracelet. If you are not a diver and don't want to use this feature, you can simply remove the extension.